Police departments across the United States are equipping their officers with body cameras, but few have laws on the books to control who can access the footage. In North Carolina, a bill that would prevent the public from viewing police body camera footage without a court order is making its way through various state committees. The measure — known as HB 972 — passed the House Judiciary Committee this past week and is under review by the Finance Committee. The next stop, if approved, is the House floor. Despite its early success, HB 972 is not without opposition, most of which has argued that, in giving police officers room for discretion in choosing whether to release any footage, the bill will actually decrease trust in law enforcement agencies. While the law would require police departments to release footage to individuals who appear in the recordings, it also provides agencies with a long list of exceptions for that obligation. 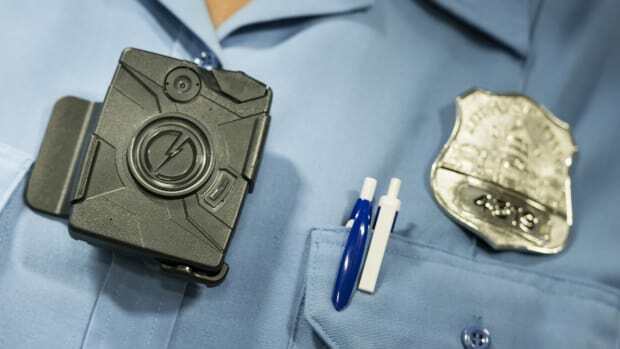 “Many people simply cannot afford to bring a claim in court in order to obtain body camera footage,” said Susanna Birdsong, policy counsel for the North Carolina chapter of the American Civil Liberties Union, which has already come out against the bill. Proponents of the bill cite privacy issues with making all recordings public record, such as footage of individuals’ homes or confidential informants. Police departments across the country are grappling with how to effectively manage this new stream of evidence. Should body camera footage be treated like any other police record? Or is there something unique about the footage that requires unique legislation like the bill proposed in North Carolina? 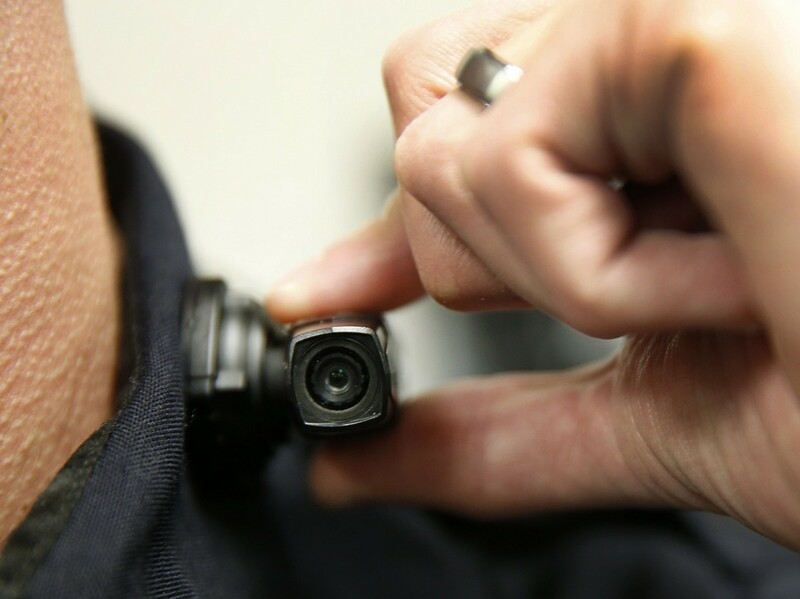 To find out, Pacific Standard spoke with experts in criminology, law, and policing to get a more comprehensive picture of the issues surrounding who has access to body camera footage in jurisdictions across the nation. My general concern with the bill is that it treats a category of footage — these videos that are generated by body worn and dashboard cameras that obviously fall within the definition of public record in the North Carolina law — differently than all other public records. It’s just not clear to me why this category of video footage is so different than everything else that is created by public employees, that it needs to be treated in this really unique way that makes it really hard for the public to get access to it. I think it’s easy to forget that if there’s video footage of an incident, that’s not the only record of that incident. There are other records that are created, and those records are dealt with until public records laws. 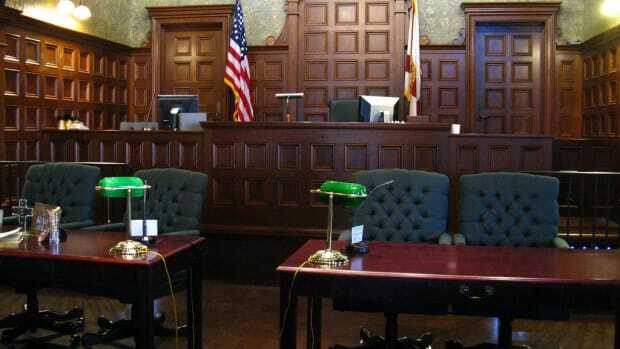 The police reports are dealt with under public records laws. So it just doesn’t follow for me why body-worn camera footage should be treated differently, and why the way that it’s treated differently is to set up the system that North Carolina seems to want to put in place where really that footage can’t be release absent a court order. Without a doubt there are privacy issues, but the public records laws in North Carolina, and in most other states, take into account issues of personal privacy and limit the release of public records that would unduly intrude on individual privacy. Body-worn camera footage is really good evidence of what happened during interactions between police and civilians, and it almost seems like, for some reason, police departments as well as members of the North Carolina legislature don’t want people to see it. If the head of a police department is asked the question “Do you want to have control over releasing this footage or not?” They’re going to say, “Of course we do.” That’s totally logical. At the other end is individual police officers—and police culture generally—that leans toward this feeling of victimization, where police really feel like they’re not being treated fairly by the press, by the communities they serve, and people are really quick to jump to what they feel are unfounded conclusions about police use of force. So I think their concern is that once you release these videos, no matter what they show, they’re going to be interpreted in a way that reflects poorly on police. That’s going to lead people to trust police less, and it’s going to end up leading to greater threats to police officers. 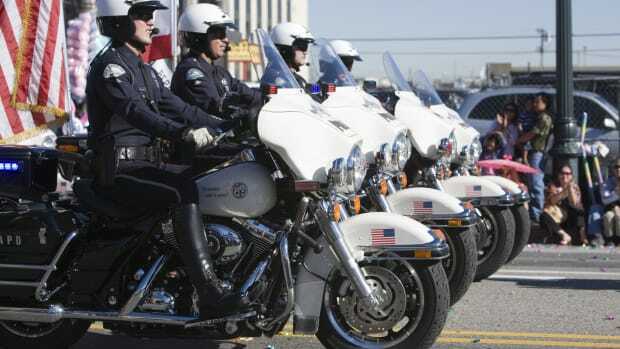 Some states protect law enforcement records only while there’s an ongoing investigation, other states, like California, protect certain categories of law enforcement records indefinitely. 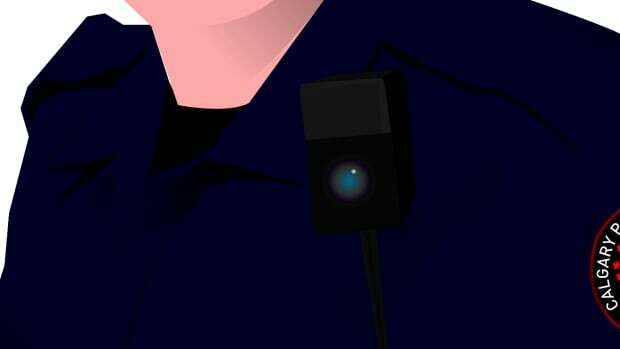 The Los Angeles Police Department has taken the position that body camera video is a record of an investigation under the California Public Records Act that they do not ever have to disclose. Not during the investigation, not after the investigation is closed, not 10 years later. Never. They take the position that state law allows them to withhold the video, but really what state law does, even under their version of it, is give them the option not to release body camera footage. If they wanted to, they could decide to release footage of every officer-involved shooting, but they’re reached a policy decision not to do that. And we [the ACLU] think that’s troubling. Public support for body cameras is based in large part on the idea that they will provide transparency by allowing the public to see for itself whether officers behaved appropriately in controversial incidents, but they don’t provide transparency if departments don’t allow the public to see them. It’s not just the public that premises its support on transparency; if you look at comments from Attorney General Loretta Lynch, she also talks about body cameras as a tool for transparency. It’s that transparency that helps build public trust. 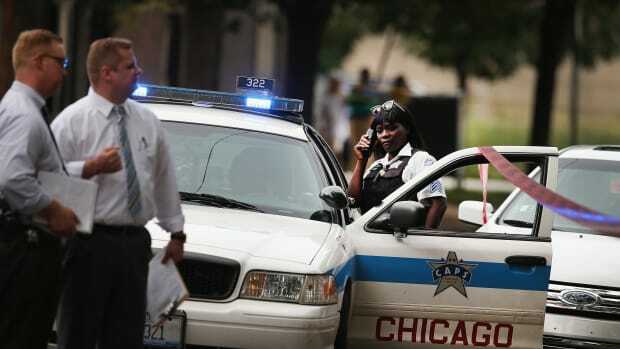 Part of the problem with policing is that we’ve seen controversial shootings where police departments investigate, they hold a press conference and say, “We’ve considered all the evidence and decided that the officer acted appropriately.” Too often, those decisions are veiled in secrecy. In California, state law actually prohibits departments from disclosing the investigation. It’s true that releasing body camera footage of every single interaction that police have with the public would have an impact on privacy. I think it’s fair to say that, for many people, the occasions where they interact with the police are not occasions when they’re at their best, and having a record of that recorded and posted online impacts their privacy. But there’s a balance between privacy and the need for transparency and accountability. The position that we have taken is that anyone should be able to access video of their own encounter with law enforcement, and I think it’s important to recognize that the LAPD’s policy doesn’t even allow that. So it’s not about privacy. There are certain categories of incident where the public interest in how police are behaving outweighs privacy interests; that would include any police shooting or other use of serious or deadly force. Different departments have drawn different lines, there are different approaches. The Seattle Police Department put all its body camera footage up, but with no audio and blurring the video, and that provides some transparency and some protections of privacy. Other departments may decide to release footage in certain categories, like serious use of force or a credible complaint of misconduct, but the idea that departments should never release body camera footage unless they’re required to do so by a court is just at odds with the what most people think is the fundamental purpose of body cameras. The videos are going to end up being far more damaging for citizens than for police, I think, in the long run. You know the old proverb, “Be careful what you wish for.” The police are going to become risk averse. However, there’s a real possibility that someone is drunk driving or involved in domestic violence or even just acting like an idiot when interacting with the police, and that’s going to be captured on video, and they’re going to lose their jobs, or be denied employment, or get thrown out of school when those videos surface. So I predict there will be far greater instances of adverse consequences for citizens. I do think the police now are going to think once, twice, three, or four times about interacting with people in any sort of adversarial way, which, well, that’s their job … but they have to be extremely cautious about [their interactions] with people because the stakes are certainly very high for them. So we’ll see if people are going to relish the notion of every interaction they have with the police being out in the public realm. I think cameras are going to turn out to be a historically big mistake. [Police departments] sort of introduced the cameras first, and now they’re trying to figure out what that all means afterward. 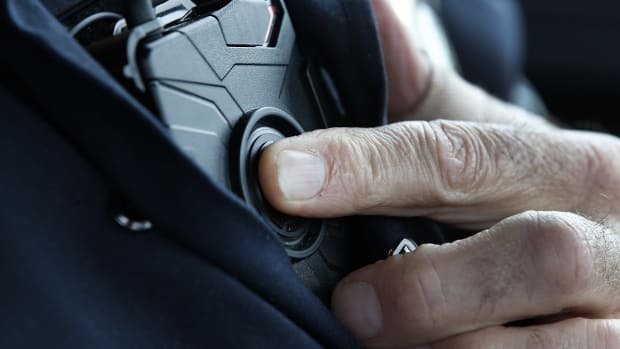 It was sort of sold as a panacea; we rushed, and now we’ve got these cameras and only time will tell what cameras are going to mean, so I’m not surprised that people are scrambling to figure out what it means to put cameras on police and record every routine or action. I think it’s going to impact police recruiting, it’s definitely going to hurt poor neighborhoods. But the train has left the station. There’s going to be thousands of hours of body camera activity that are captured in any police department on an annual basis. If everybody wants to see every tape anytime, [it] would be extremely difficult for police agencies to keep up with those inquiries. There’s the question of what is the information being sought, and what is the grounds for that? If there’s a complaint about police misbehavior, then the footage becomes the potential evidence and/or defense of the officer. Or even if it’s an agency — say a news agency — that says, “We have several complaints about officer behavior, we think there’s a pattern here,” then there may be a reason to open that up. But I’m not sure that every tape should become public record. Most of this taping business started by putting cameras in police vehicles. And all of those tapes have to be requested; they’re not just automatically turned over to the people. I would imagine the same kinds of policies would apply to tapes associated with the body cameras as well. In some ways the only difference is the camera is mounted on the police officer as opposed to being mounted on the police car. But the dash cams are often only for traffic stops. The body cam is looking at every interaction that the officer has with the public. So in some ways it’s exponential, what the number of interactions could be in any given day. The other complexity is who reviews those tapes and at what point are they reviewed? Think about an officer who’s out in the street. Those cameras are not running eight hours on a patrol beat, they’re usually turned on or turned off by the officer when an encounter happens. So let’s say there’s an hour’s worth of time where there are encounters on that tape. Historically, in the police department that would be the Sergeant’s responsibility, but you can see a Sergeant on a shift that has eight or 10 people, now you have 10 hours’ worth of stuff to review every day, so there has to be developed a review process to look at that. I think the thing that is most important is that if somebody has a complaint and knows that there is a film of it from the police perspective, that gives that person the ability to demand that tape be presented and reviewed. Then there’s the question about whether in a broad review, there’s a sample of cases taken that maybe you just look at them to see the general practices of the officers in the community, and that might be instructive for a citizens group to look at. Some of those tapes are going to be really boring. We have some really bad events out there, and sometimes the police are really at fault—I’m not sweeping any of that under any rug. But the reality is that a lot of the interactions of the police with the public are pretty mundane. So what you’re really trying to capture is those lightning strikes, those bad events that happen. But they’re going to be in a sea of mundane events. So you’re going to have to have a way to sort them to make sure that you understand when one of these events is no longer mundane and has become serious. If we had a whole bunch of police reports, your citizens’ watchdog organizations could ask for all those reports under FOIA or they could file a civil suit and demand those reports. The courts have to sort out how far FOIA goes. We could collect thousands of thousands of hours of police interactions with people out on the street. If nobody reviews them inside the police department what difference does it make?